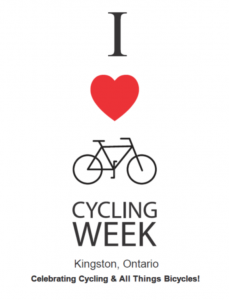 Cycling Week in Kingston happens from June 3 to 9. “Roll-in” breakfasts happen every week day at various locations. You can also cycle with the mayor, attend a documentary screening of bicycle stories from Cuba, drop in to a bicycle-themed art show at Martello Alley, and wrap things up on June 9 with the Amazing Bicycle Race. Why not try taking your bike to work, school or other activities this week! For a complete list of events, go online to www.cyclekingston.ca.